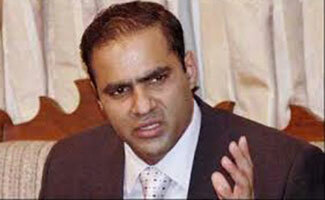 FAISALABAD, May 22 (APP): State Minister for Water and Power Chaudhary Abid Sher Ali on Sunday said the PML N was actually serving the masses by providing them basic amenities in all spheres of life. Talking to the media after inaugurating an electricity provision project in Street No.10 of Zulfiqar Colony, City Council No.79 here, he said anti state elements were hatching conspiracies under which precious time of the people was being wasted. Tehrik e Insaf (PTI) and Imran Khan was not in a position to resolve party differences adding that politics of the PTI was nothing but dance and songsHe said: “ We are honoring and fulfilling all promises made with people during electioneering.